It?s almost been two years to my visit (23rd Sept to 20th Oct 2009) to the Saj?kaza (Hungary) and since then I?ve been in constant contact with my friends – Anik? Szegedi, Derd?k Tibor and Katlin Bodori – from Hungary. This article is in continuation to my previous articles – Babasaheb Ambedkar and ?the Dalits of Europe?, Reclaiming Human Dignity: The Protest and Gypsy Stereotypes, Celebrating Dhamma Chakka Parivartan Diwas in Hungary, and Ambedkar in Hungary – which I wrote while staying at Saj?kaza. Since 2009, Jai Bhim Network has expanded its roots deep into the Hungarian society via opening new schools at Als?zsolca (about 60 students), M?gocs and S?ta (elementary school about 20km from Saj?kaza) and Jai Bhim Network has purchased a new house (named White House) to teach Roma students and carry out various social functions. With the help of Bharat Wankhede and The Corporate Body of the Buddha Education Foundation, Taipei (Taiwan) Jai Bhim Network has published a Buddhist Puja book ? Telihold. Kubu will graduate in Physics in few years. Benu has joined job at Budapest and he is continuing his activities with Jai Bhim Network from Budapest. Katlin Bodori left for completing her master?s degree. Many new teachers are hired and few completed their tenure successfully ? enriching Roma students? lives and their own lives with wonderful experiences. 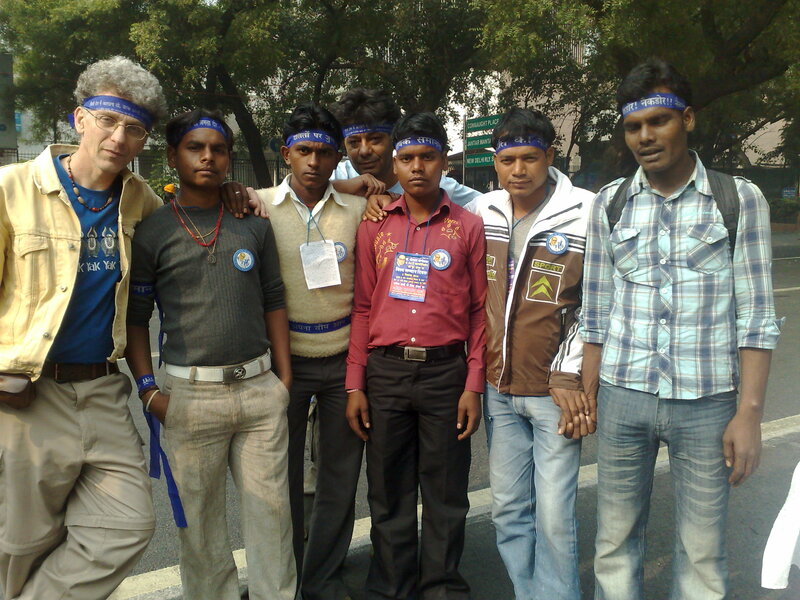 To fulfil their Buddha-Dhamma and Ambedkarite quest, in Nov-Dec 2010, Derd?k Tibor and J?nos Ors?s visited India again (third time) and stayed at Bodh Gaya for few days and then took part in the Dalits demonstration for equal rights at Jantar Mantar, Delhi on 5th Dec 2010. Derd?k Tibor and J?nos Ors?s come to Buddhist places in India as Muslims go to Mecca and Hindus go to Varanasi. Few days ago while talking to Derd?k Tibor (founder of Jai Bhim Network), I came to know about the recent church lawand while talking to Anik? Szegedi on Jan Lokpal Bill (I can bet that she understands this much better than many Indians! ), she told me the complications of this church law and she asked me, ?Do you think only Indian can act thoughtlessly?? Hungarian parliament can also do such blunders! On the name of curbing the misuse of funds and to deal with tax frauds, Hungarian government passed (with 254 to 43 votes) a new law on July 12, 2011 ? Law on the Right to Freedom of Conscience and Religion, and on Churches, Religions and Religious Community – famously known as church law in Hungary. According to this new law, religious organisations should have more than 1000 peoples? base and religious organisation should be more than 20 years old to be able for getting funds from the state and other government agencies. According to the new law, in Hungary only 14 religious organisations out of 358 fulfil the criteria and excluded groups will automatically lose their registration status on January 1, 2012, thereby losing financial support, state subsidies and tax benefits from the government to run their social and charitable work. Lord Jesus said, ?For where two or three come together in my name, there am I with them. ?But so called government seems to disagree with Lord Jesus. I don?t understand why government is interfering with the freedom of religious practice? Church law seems not to curb the tax frauds but to curb religious freedom of citizens. It?s really a shameful on the part of government to bring such a (unlawful) law and behave like rule in a democratic nation – Hungary. In Hungary, many Romas (Gypsies) depend upon the charitable work done by various churches and Jai Bhim Network. Losing their registration and lack of funds will further affect the poor Romas. ?Everyone has the right to freedom of thought, conscience and religion. This right includes freedom to change religion or belief and freedom, either alone or in community with others and in public or in private, to manifest religion or belief, in worship, teaching, practice and observance.? It?s really strange to note that a country recently freed from the claws of communism passed such a discriminating law, which will hinder the religious freedom as stated in Hungarian constitution. It?s simply unethical to bar someone from practicing religion or belief of one?s choice. Church law to me is similar to the ?Gujarat Religious Freedom Act? and notably known as ?Anti-Conversion Law? introduced by the Gujarat (India) state government (infamous for persecuting religious minorities) in 2008. Jai Bhim Network is working among Romas (Gypsies) since 2007 for the social integration of Romas, running more than six schools (at Saj?kaza, ?zd, Hegymeg, Als?zsolca, S?ta, and M?gocs etc) on the name of Dr Ambedkar High School and teaching illiterate Romas, providing education to the Romas of all age groups and organising various Buddhist events such as meditation camps and celebrating Dr Ambedkar?s Birthday and Dhamma Chakka Parivartan in Hungary. With the help of Jai Bhim Network Romas are able to stand against the daily whips of village life and Network has given millions hopes to these unprivileged Romas through education and social integration program, all such measures were ignored by governments and many others. 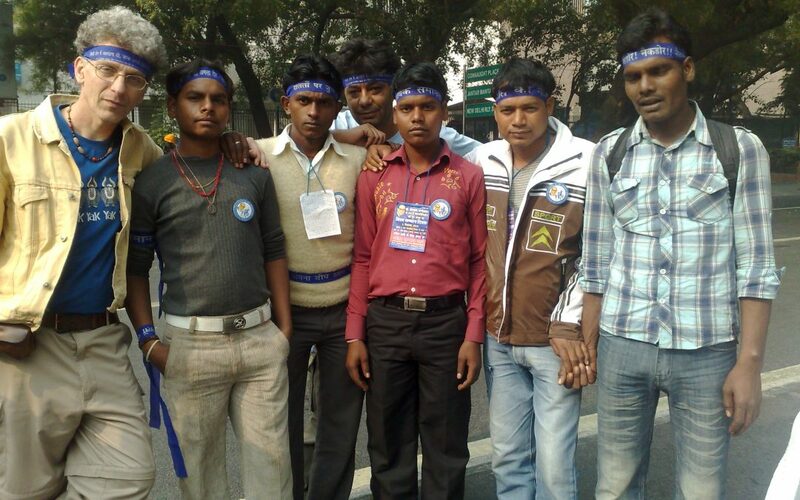 Jai Bhim Network is working and drawing inspiration from many other Buddhist religious bodies from different countries and especially Dalits of India. P.S. : Credit to shape this article goes to Anik? Szegedi, who shared much information with me on the church law, and Derd?k Tibor.